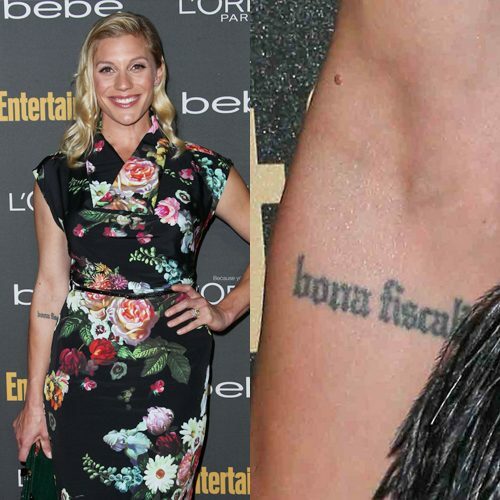 Katee Sackhoff has a side tattoo on her left that reads: “you are not here by chance”. Katee Sackhoff has a fading cross tattoo on her left shoulder blade. 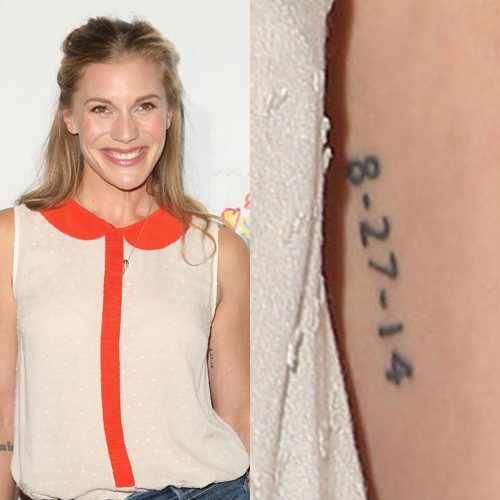 Katee Sackhoff has the date 8-27-14 inked on her left upper arm.